1 in 4 Adults are Still Unaware That They are Living with Diabetes. For how seriously debilitating and life-altering diabetes can be for about 30.3 million diagnosed Americans, the American Diabetes Association (ADA) estimates that nearly 1 in 4 adults, or 7.2 million Americans are still unaware that they are living with diabetes. While a great majority view a diagnosis of diabetes as looming disability in later life, about 9 in 10 adults who are unaware of their prediabetic state still have a window of opportunity to reframe this viewpoint and take on a healthier lifestyle. In light of today’s annual Diabetes Alert Day – which is celebrated every 4th Tuesday of March – the ADA encourages the nation to make a 60-second Diabetes Risk Test (also available in Spanish) to determine their own and a loved one’s risk for Type 2 Diabetes (T2DM), especially if the individual is over 45 years old, obese, and physically inactive. A notable 2002 Diabetes Prevention Program study showed that nearly 40% of patients with prediabetes that were placed on a placebo developed the disease in 4 years. While a handful of experts believe that efforts to diagnose and treat prediabetes poses its own inconveniences and costs (i.e. costly lab tests and potentially “dubious”, profit-driven drugs), many clinicians are determined to meet this pivotal pre-disease state with a holistic, collaborative and highly sustainable approach. The same study showed that out of those placed on an intensive lifestyle-modification program, only 19% actually progressed to be diagnosed of diabetes, which highlights the merits and justifies the costs behind nipping a chronic disease in the bud. The best approach to curbing diabetes entails engaging the patient and family to form a personalized regimen. Not all patients understand the gravity of a pre-disease state, much less the value of regular screening. See which short-term milestones spark their interest. It could be weight loss or the many negative effects of a chronic disease on the family’s finances and well-being. Find out who influences them on a daily basis, or who they can start a social physical activity with. It could be as simple as encouraging them to play with their grandchildren more, or go on walks with their spouse. Identify their concerns with any suggested lifestyle modifications, and suggest alternatives. What realistic and measurable goals can we set? Patients are more likely to stick to a new, healthier lifestyle if they are able to see more immediate results. If the goal is to lose 50 lbs, sit down with the patient and spread this goal out over a reasonable amount of time. Encourage them to keep a journal or document their progress in pictures. Pamphlets can only do so much when a prediabetic patient is either anxious or ambivalent. While hiring a trainer or coach does elicit initial commitment, many patients still end up falling off the program. Help the patient identify a friend or family member who can keep them accountable with their regimen. Get to know the patient’s immediate community and what resources are available to them. Where can they go for more information or to actively avail of testing? Is transportation a concern? What programs can help subsidize or reimburse costs? Take advantage of their smartphone and patient portals. Go as far as helping them setup health monitoring apps on their smartphone, or bookmark URLs of reliable sources of information. Berg, Sara. “How to Get Patients to Start-and Stick with-Key Lifestyle Changes.” American Medical Association, www.ama-assn.org/delivering-care/diabetes/how-get-patients-start-and-stick-key-lifestyle-changes. “Diabetes Alert Day.” National Institute of Diabetes and Digestive and Kidney Diseases, U.S. Department of Health and Human Services, www.niddk.nih.gov/health-information/communication-programs/ndep/partner-community-organization-information/diabetes-alert-day. Henry, Tanya Albert. 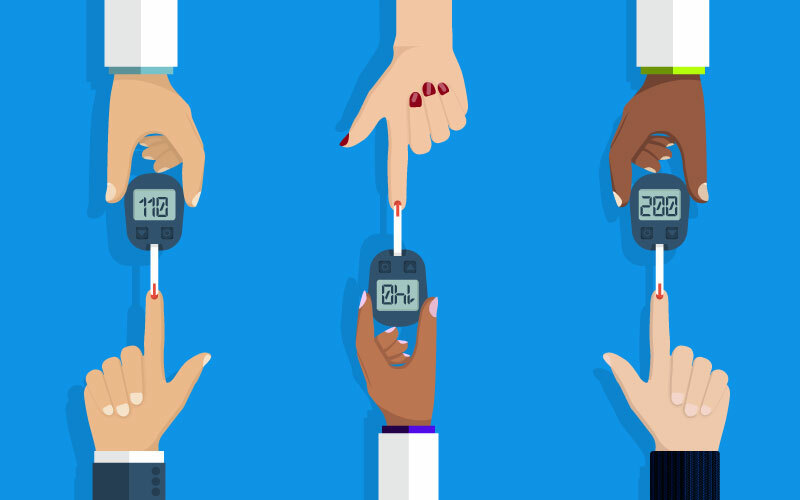 “Why Some Patients Don’t Take Prediabetes Seriously.” American Medical Association, www.ama-assn.org/delivering-care/diabetes/why-some-patients-dont-take-prediabetes-seriously. Piller, Charles. “Prediabetes Is an Alarming Diagnosis. But Is It a Disease?” Los Angeles Times, Los Angeles Times, 21 Mar. 2019, www.latimes.com/opinion/op-ed/la-oe-piller-prediabetes-diabetes-prevention-20190321-story.html.